In brief, you should know the following about us: our company was established in 2004 and had been responsible for providing outstanding Heating Ventilation and Air Conditioning Installation and Service ever since. 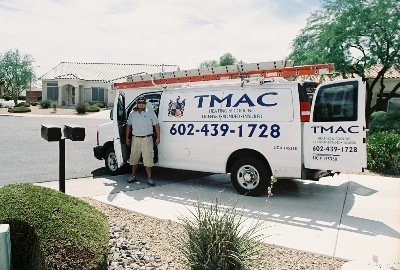 Our specialty is in the area of providing exceptional customer service. Our regular customers particularly value our promptness, attention to detail and our prices. We provide our business in the North, Northest areas of the valley. Which include: Sun City, Sun City West, Glendale, Surprise, Peoria, Phoenix and Scottsdale. We are extremely proud to be a participating contractor with SRP and APS which means that we are continuously engaging in rigorous training to ensure energy effcient systems are working properly. Which equals an increase comfort in your home and help reduce your energy bills.